SUSAN BATTLEY is an internationally recognized authority on strategic leader and board effectiveness. She is the founder and chief executive officer of Battley Performance Consulting. For more than 25 years, Battley has helped world-class leaders, board directors and management teams execute brilliantly for maximum success in today’s high-stakes business environment. Her clients include chief executives and corporate officers, board directors, Nobel laureates, association executives and public sector officials here and abroad. She is an expert commentator on leader trends in the national news media, including CBS National, CNN and Bloomberg television. Her articles have appeared in leading business and professional publications, including Leader to Leader, Leadership Excellence, Forbes, Fast Company, Huffington Post and The Oxford University Press Handbook of Lifelong Learning. Battley is a Governance Fellow of the National Association of Corporate Directors. She is currently Chair of the Smithsonian Libraries Advisory Board. She has served on the Board and Executive Committee of the Metropolitan Opera Guild, as well as the Advisory Council of the Harvard Business Review. She is a member of the American Psychological Association, American College of Healthcare Executives, Society of Consulting Psychology, and The Authors Guild. Her book, Coached to Lead: How to Achieve Extraordinary Results with an Executive Coach (Wiley/Jossey-Bass), was the first executive’s guide to executive coaching. Soundview Executive Book Summaries calls her as a “wise guide to greater effectiveness.” Her radio program, “Fast Focus on Success,” was commended by the Clinton White House Office of Science and Technology Policy. Battley holds a PhD with Distinction in economic history from the State University of New York at Stony Brook and a Doctor of Psychology degree from Long Island University. 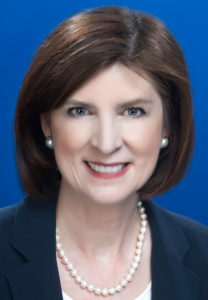 Prior to starting her firm in 1998, she was a clinical associate professor and ombudsman at Stony Brook University, State University of New York. She is a licensed psychologist in New York State.